Our technology offers flexibility found in no other CHP systems on the market today. While NextGrid focuses on CHP systems that use clean burning natural gas and/or propane we have built some amazing technology for our clients. We can do this because our technology offers flexibility found in no other CHP systems on the market today. One of the key features of this flexibility is being able to use many different fuel types. This ability arises from the fact that NextGrid turbines are external heat engines. In a NextGrid CHP system fuel is combusted in a separate process outside of the turbine. For example, NextGrid has developed combined heat and power systems that utilize biogas as fuel. In this case biomass is gasified using pyrolysis and converted into heat and electricity. This has profound implications for the environment which is drowning in unrecycled waste. At NextGrid we are constantly innovating to improve our CHP technology. 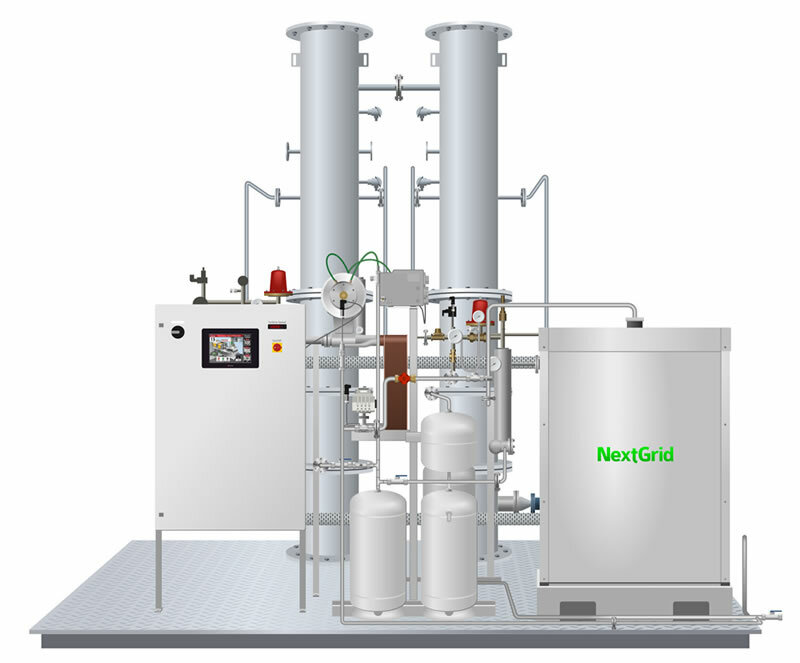 NextGrid has also developed highly complex systems that utilize waste heat such as solid oxide fuel cells (SOFC). In these applications fuel is oxidized in a fluidized bed generating heat in then 800 degrees Celsius range. The heat is captured using a NextGrid Heat Recovery Steam Generator (HRSG). The heat is then converted into electricity. Waste heat applications represent a significant opportunity for industry interested in lowering their energy footprint, costs and emissions. At NextGrid we are constantly innovating to improve our CHP technology. We are on the forefront of cutting edge technology as we strive to bring consumers and businesses real and affordable energy independence. Contact us today to discuss how we can help you with your project.